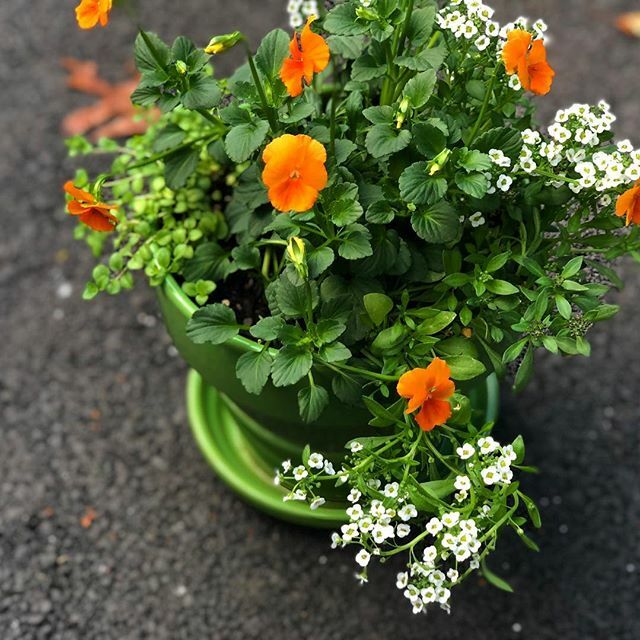 For an instant garden, call upon our Custom Container Department! 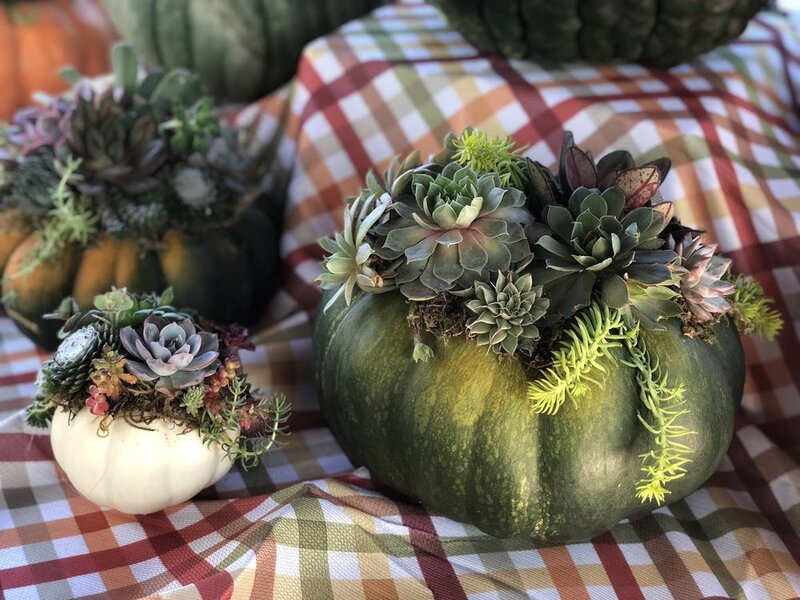 Creating unique and awe-inspiring designs, these containers are perfect for dressing up your front porch or patio area for a seasonal refresh! 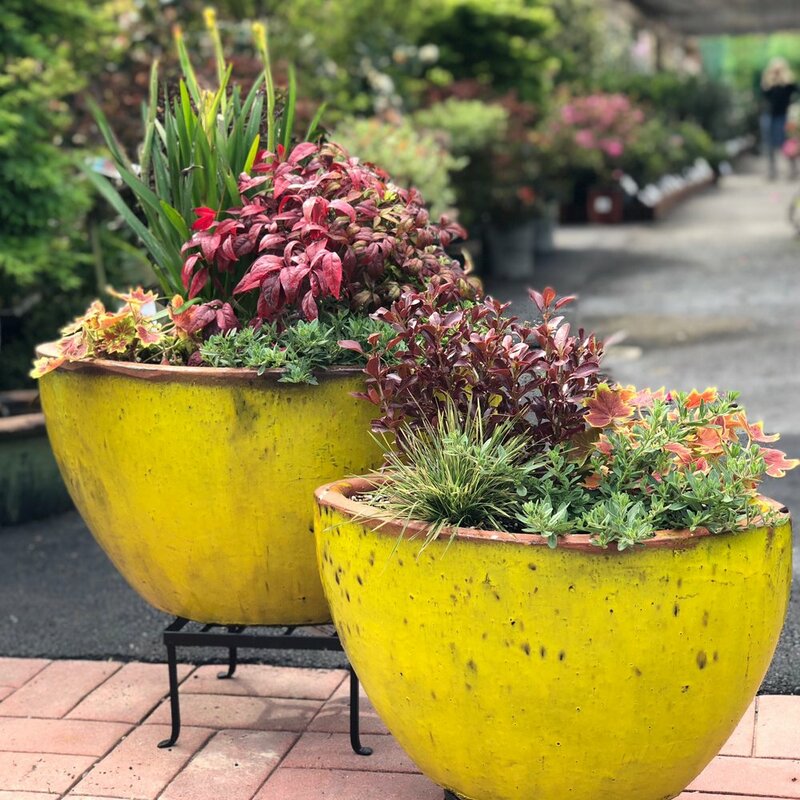 Shop our pre-planted designs on the Custom Container Patio, located alongside the parking lot near Garden's Gate; there you'll find a wide range of styles and selection. 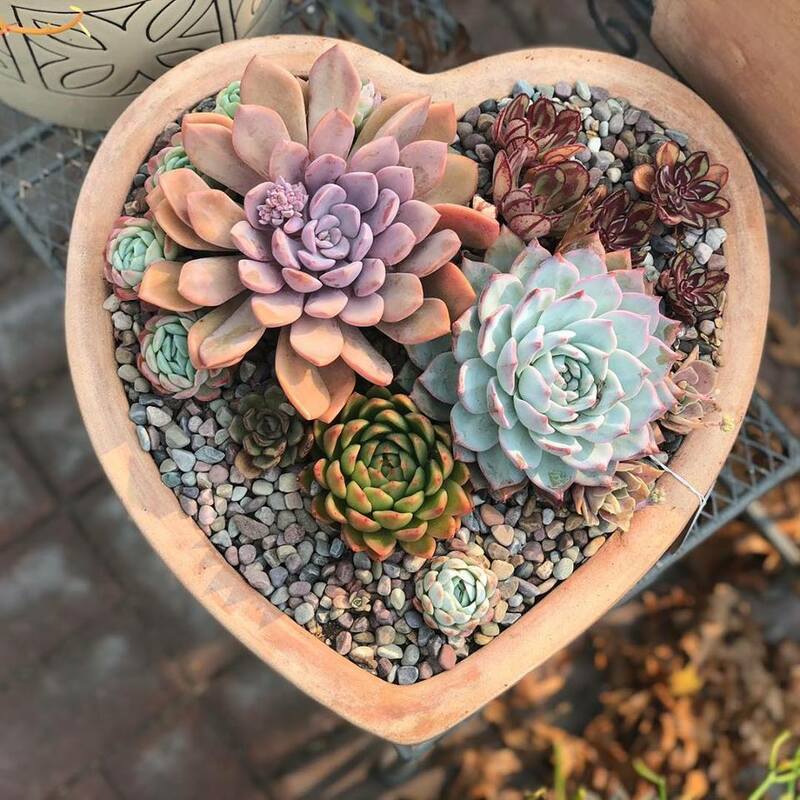 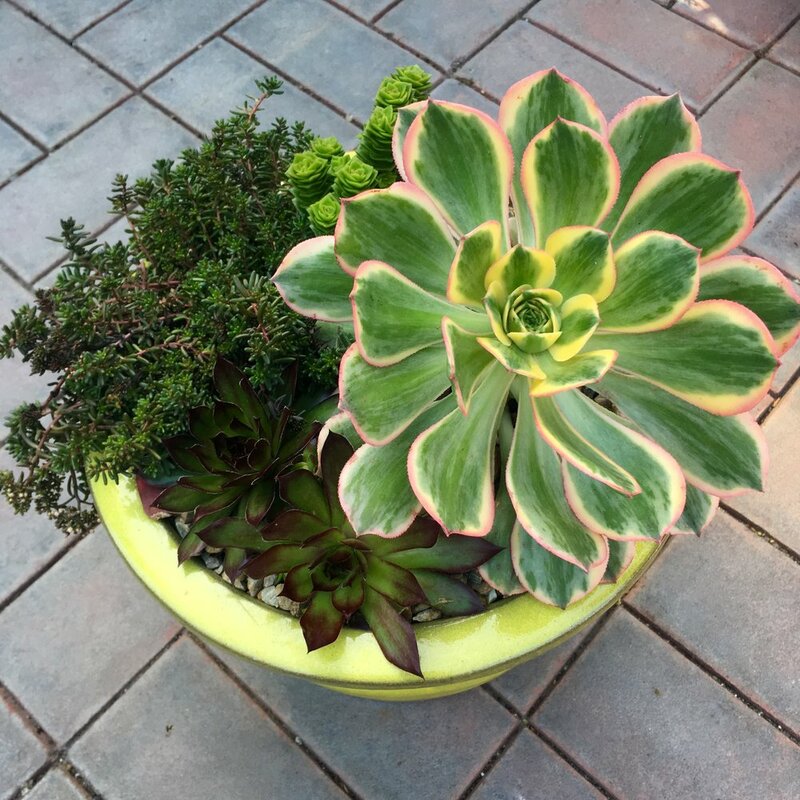 We can also work alongside you to create a custom design, incorporating everything from your favorite flowers and foliage to pottery styles while insuring that your plants will thrive in their new home! 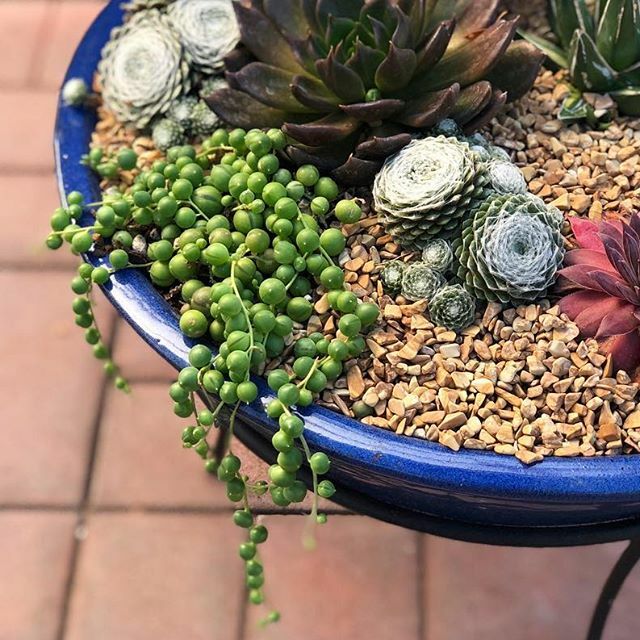 Book an appointment with Shawna, head of Custom Containers at 284-4474 x 221 for an appointment and she'll help dream up a custom design perfect for your space! 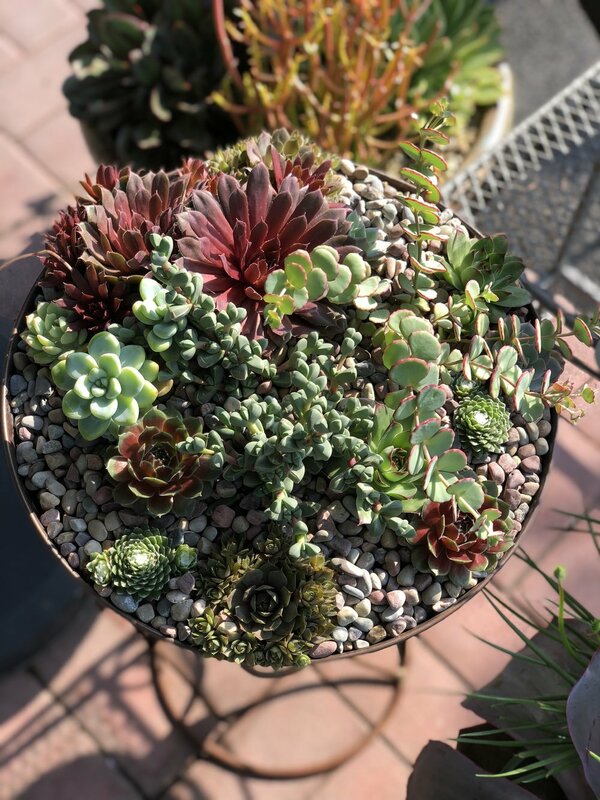 Check out our Employee Spotlight on Shawna, head of Custom Containers, and say hello next time you're in!